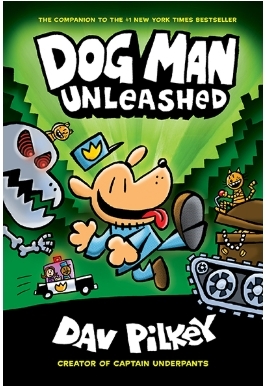 The Second Episode of Comics with My Kids, we look at and review DOGMAN Book 2 DOGMAN:UNLEASHED by Dav Pilkey creator of Captain Underpants. The First Episode of Comics with My Kids, we look at and review DOGMAN by Dav Pilkey creator of Captain Underpants. There's a new breed of justice in town, and he's ready to sniff out criminals—as soon as he stops chasing his own tail! New from the creator of Captain Underpants, it's Dog Man, the #1 New York Times bestselling, crime-biting canine who is part dog, part man, and ALL HERO!